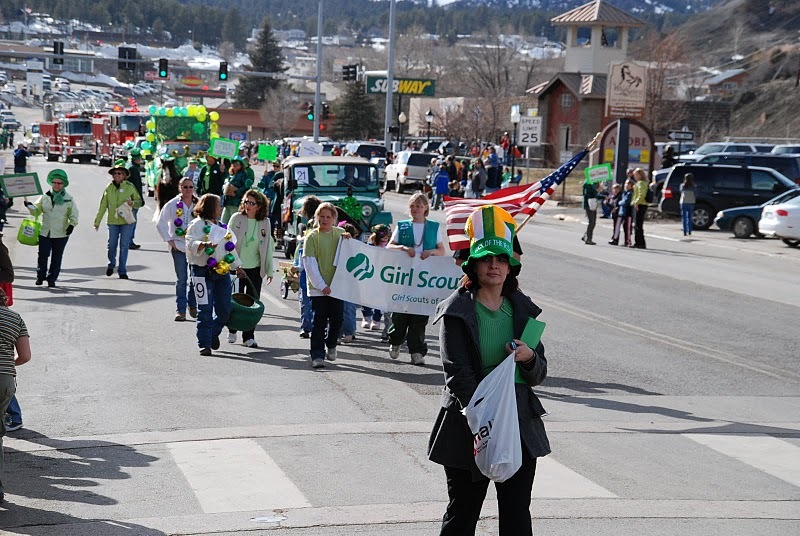 Enjoy the pictures below of the 2008 Pagosa Springs St. Patrick’s Day Parade which ran along Hwy 160 from Sixth Street east to Second Street. I believe we had about 25 participants with prizes awarded to best overall entry, the greenest entry and the most bizarre entry. Please visit my Pagosa Springs Real Estate website to view and download individual pictures of the parade. Email me for Pagosa Springs real estate information including homes, ranches, condos and maps. Pagosa Springs commercial properties available.